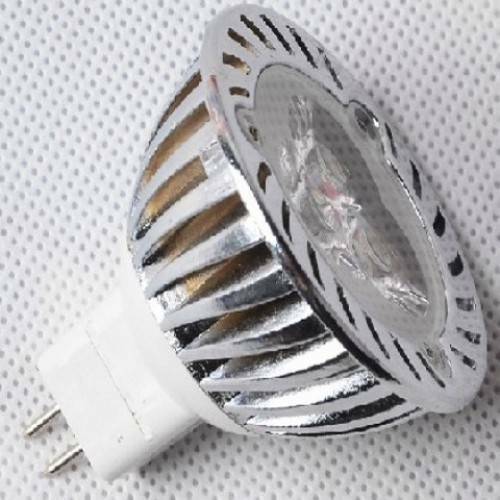 Our MR16 LED bulbs are replacements for 12v halogen bulbs these LED bulbs use small numbers of modern high light output LED chips and will nicely replace 20w and 35w halogen fittings. These are combined with carefully designed electronic control circuits and housings and where applicable, focusing lenses to control beam angles. All of this ensures our lights give excellent light output, light colour quality and beam control. Our LED light housings are designed to ensure fully effective heat management that is essential for long LED life. Please note that all MR16 LED bulbs require a 12v transformer capable of delivering a constant voltage to the light. Some older electronic transformers don't work at the low power requirements of LEDs. In that case some customers have reported it is possible that leaving one halogen on a lighting track can help the transformer to provide a clean 12V supply, preventing the LEDs flickering. We recommend new transformers for long service and peace of mind, we do sell if required.